Bitterroot River Fly Fishing Trip The Bitterroot River flows through some wonderful scenery and is noted for dry fly fishing. The Sapphire mountains rise to the east while the Bitterroot mountains are found to the west. 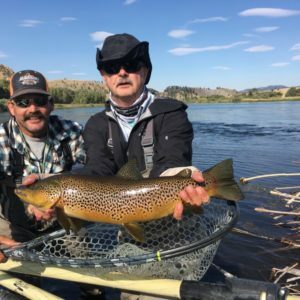 The Bitterroot is a great fly fishing destination due to the stream diversity and prolific hatches. Cutthroat, brown, rainbow and brook trout can all be caught by the fly angler. The best part of the season runs from mid-March through October due to the weather. Our Walk and wade trips are the same price as our float trips in the same drainage whether it is a river, lake or a small mountain stream. 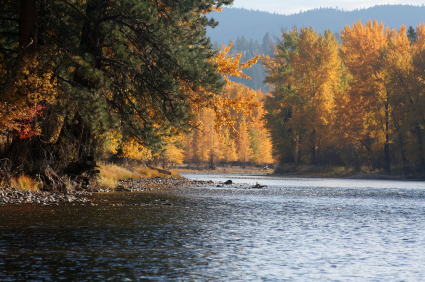 The Bitterroot River flows through some wonderful scenery and is noted for dry fly fishing. The Sapphire mountains rise to the east while the Bitterroot mountains are found to the west. 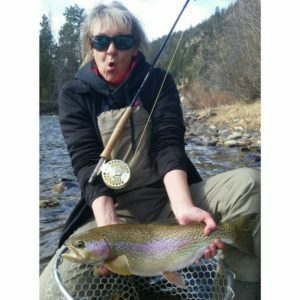 The Bitterroot is a great fly fishing destination due to the stream diversity and prolific hatches. 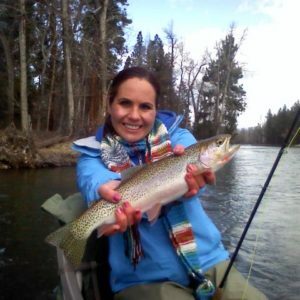 Cutthroat, brown, rainbow and brook trout can all be caught by the fly angler. The best part of the season runs from mid-March through October due to the weather. 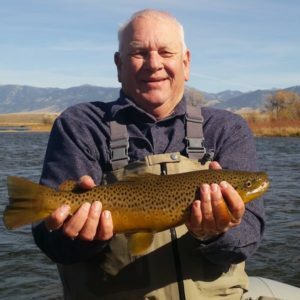 Our Walk and wade trips are the same price as our float trips in the same drainage whether it is a river, lake or a small mountain stream.